Francis Owen ('Frank') Salisbury (1874-1962), Painter. Artist associated with 16 portraits, Sitter in 38 portraits. NPG 7008(1) and NPG 7008(2), two sketches, relate to the finished oil portrait of Montgomery by Salisbury, NPG L165. The portrait was commissioned by Montgomery, who flew the 71-year old artist to his headquarters in Berlin for a sitting. 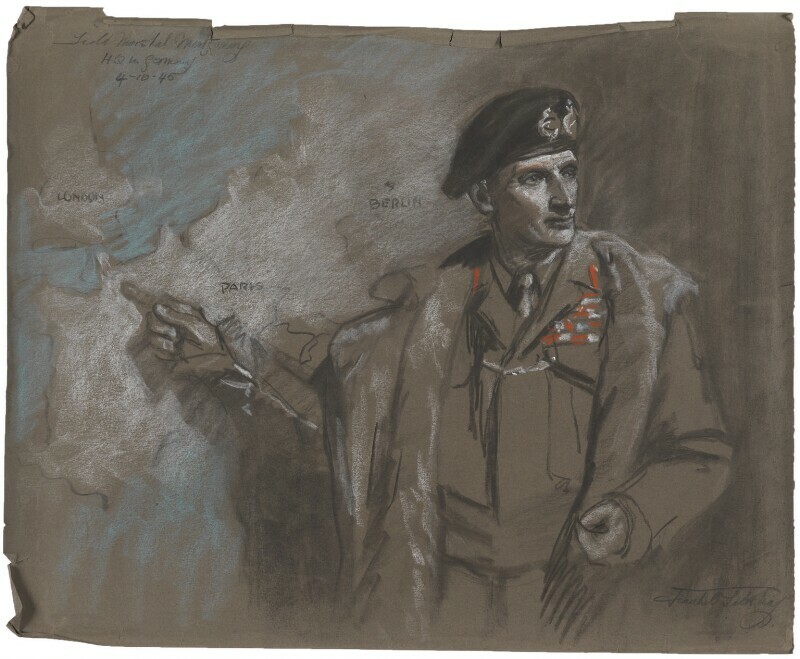 The finished composition shows Montgomery pointing to a map of the Normandy beaches for the D-Day landings.